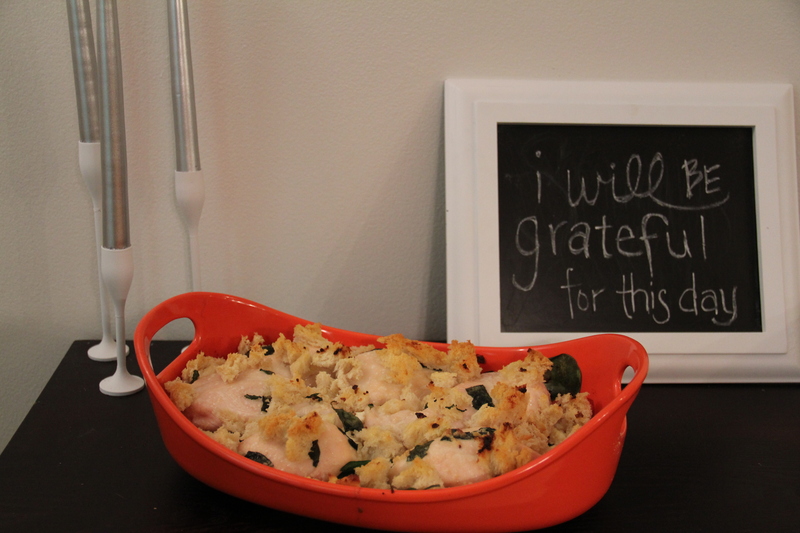 This is a recipe my dear friend Christina showed me last year, and it has now become a staple in our home. 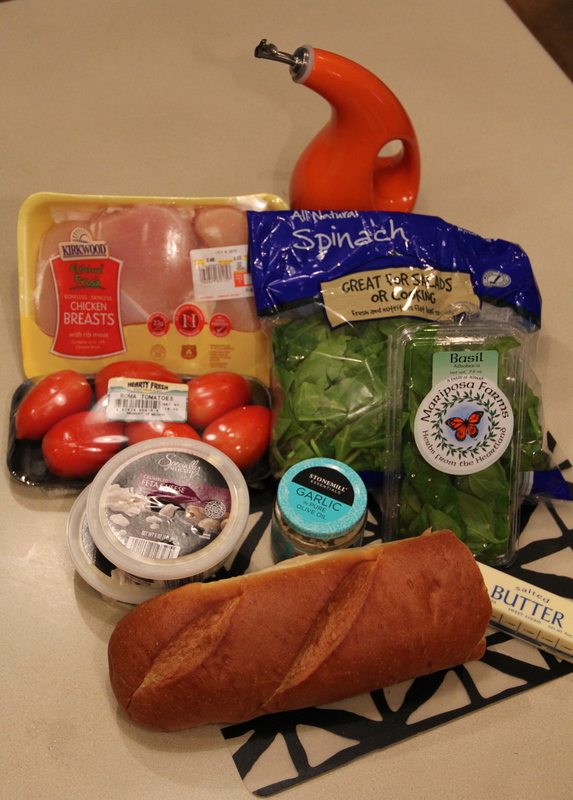 This is a great meal to have when you have company over for the delicious blend of flavors and colors, not to mention that it’s fairly (ok somewhat) nutritious for you. I’ve made it for most of our extended family and it’s been well received. 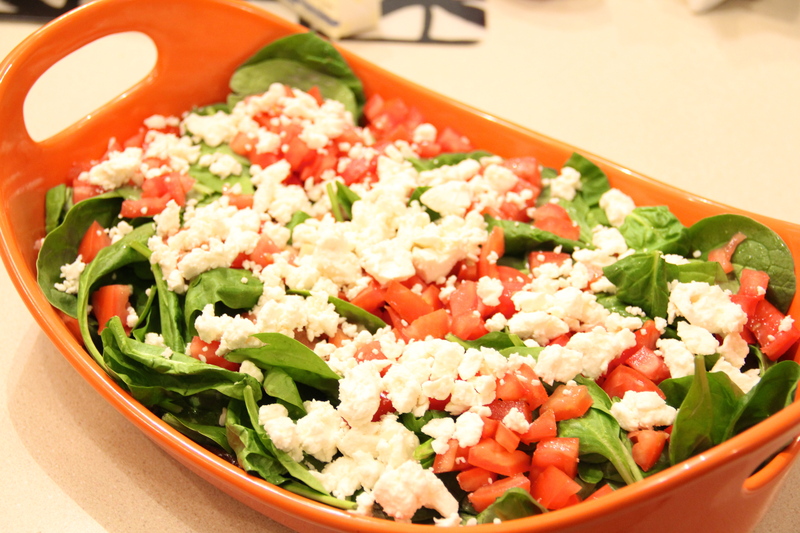 In our home, we love the combinations of tomatoes, fresh basil and cheese in any form. 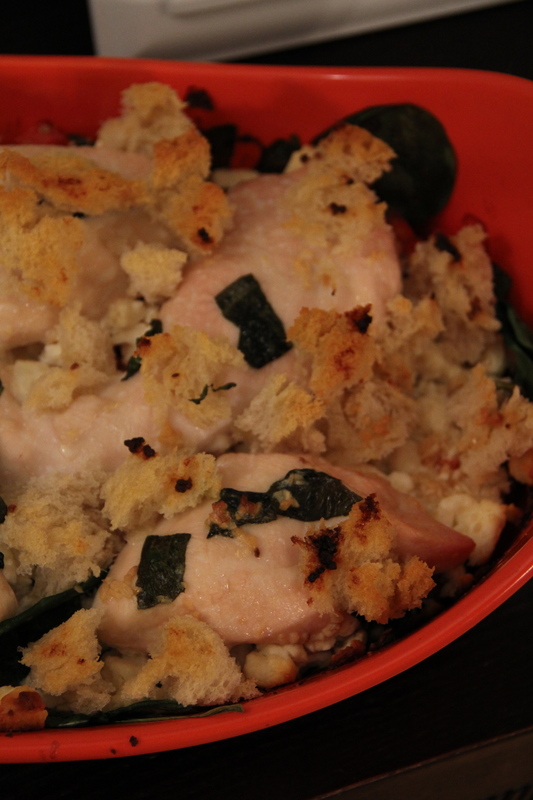 So even though the weather is warming up, this recipe is worth turning on that oven. Preheat oven to 350 degrees. 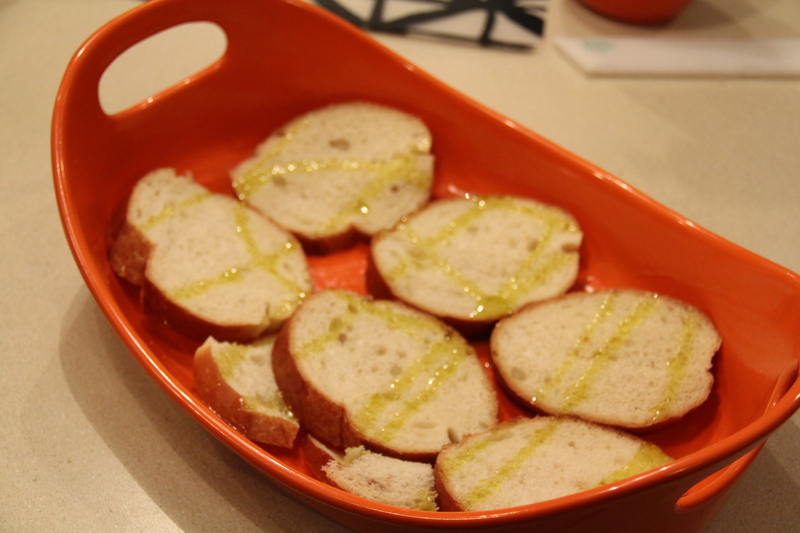 Cover a baking dish with thin slices of french bread, then drizzle with olive oil. 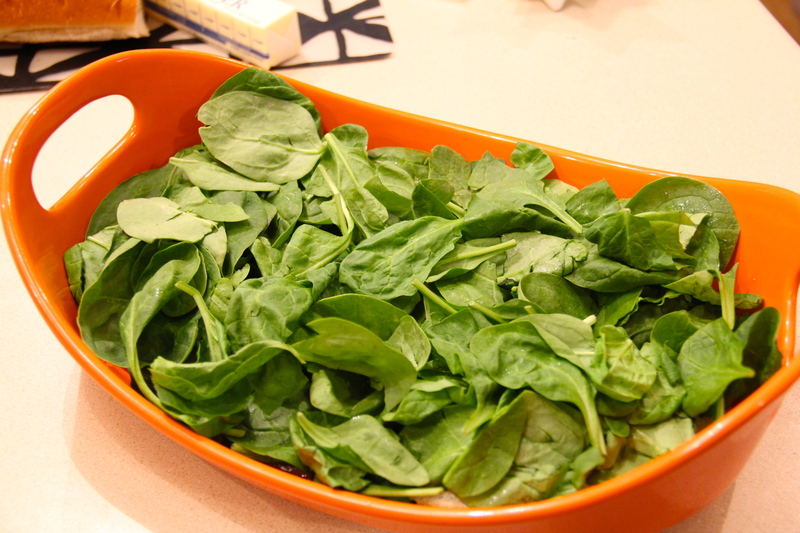 Next layer on 3/4 bag of fresh spinach. 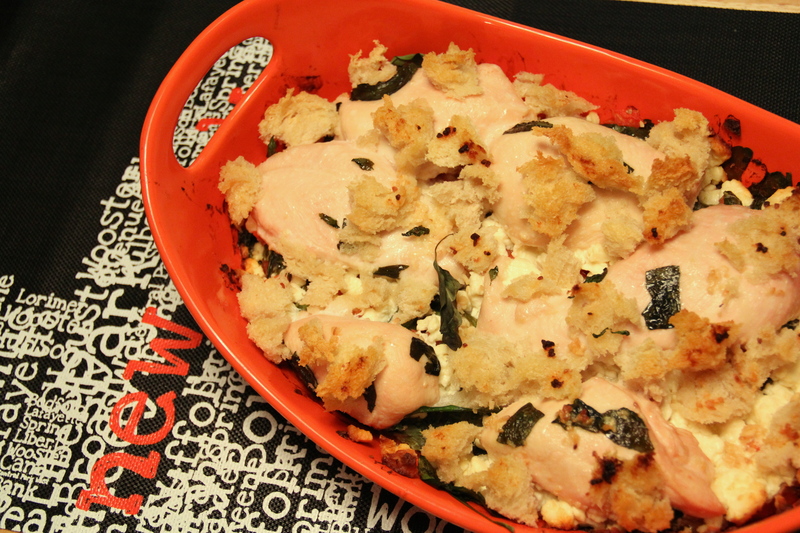 On top of spinach, put tomatoes ( I diced mine) and 2 containers of feta cheese. 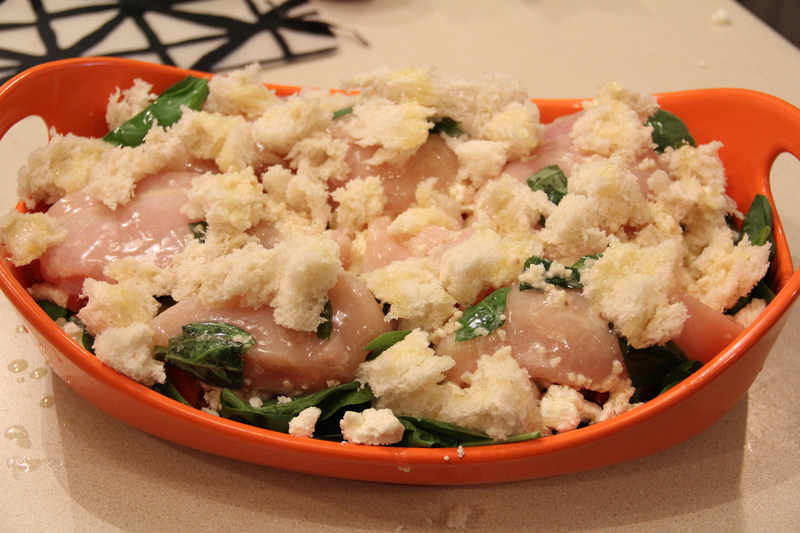 Melt the butter and mix in garlic and fresh basil into a dish. I mean really- if I haven’t gotten you already, could any recipe go wrong with that combo? 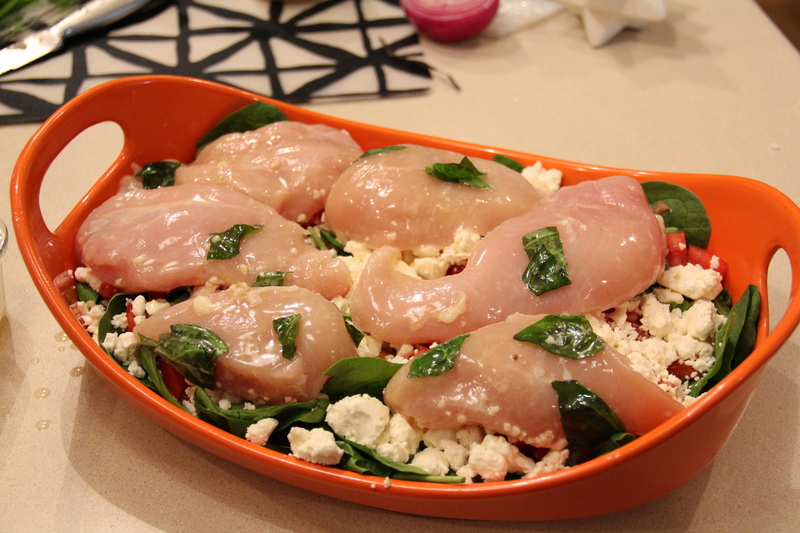 Next, dip the chicken breasts in the butter mix and place top of the tomatoes and feta cheese layer. 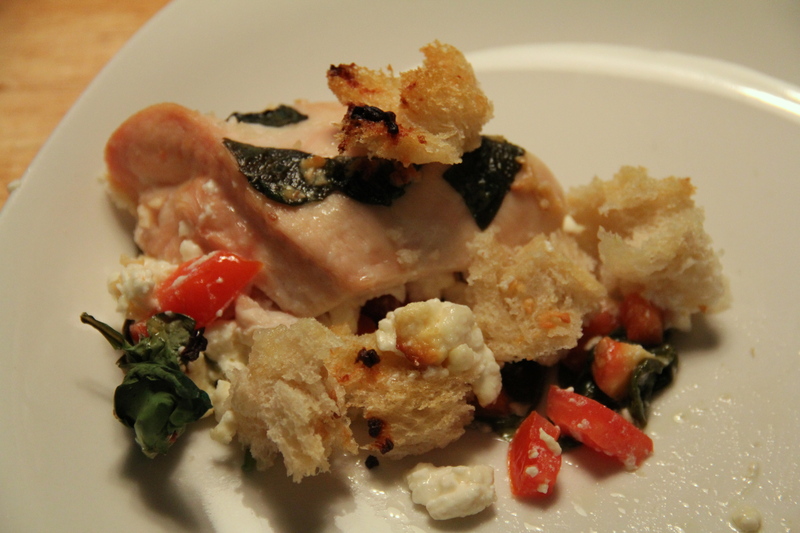 Next step is to cube up some of the french bread and sprinkle that on as the last layer to this delicious baked meal. These will get nice and crunchy and serve almost like croutons for the top. (I think those are my favorite part.) Lastly, whatever butter mixture is left- drizzle the rest on top over the entire dish. 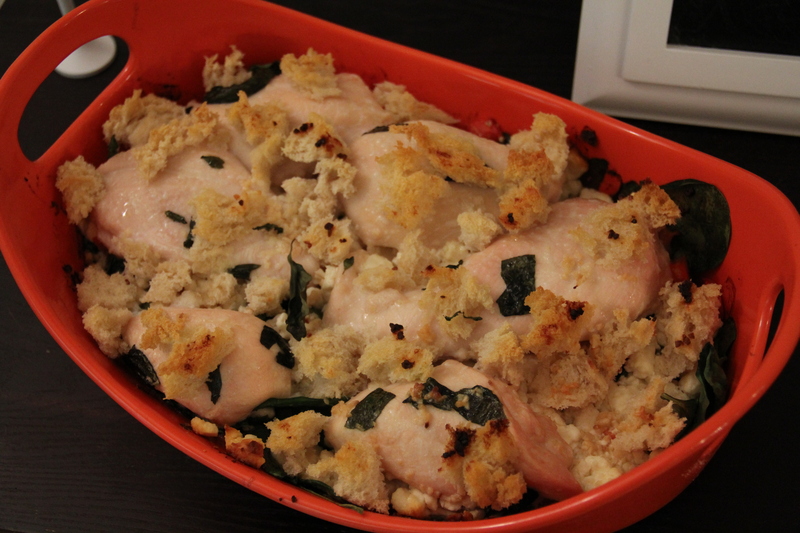 Plop it in the oven for 55-60 minutes (at 350). I promise you that it’s worth the wait! I just had to share this timer pic because it was a gift from my friend Christina who also shared the recipe with me. 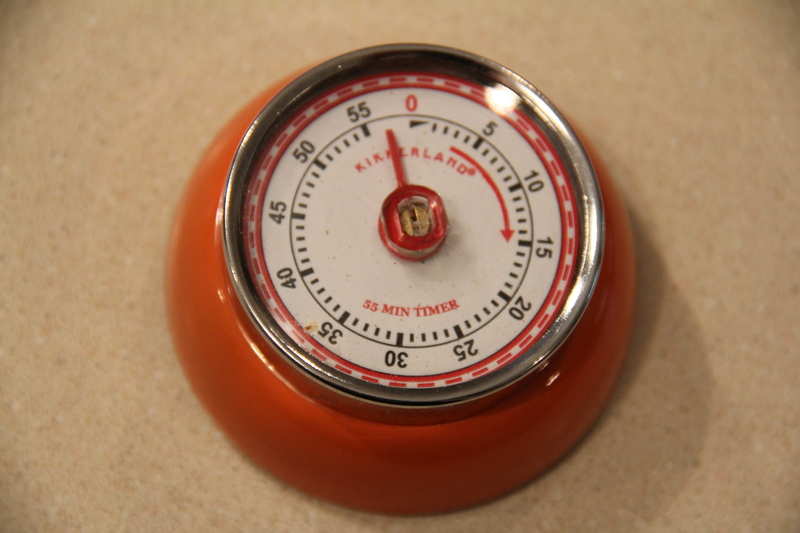 I love the vintage look to this timer and she knows that orange has become an accent in our kitchen. The finished product ready to eat! 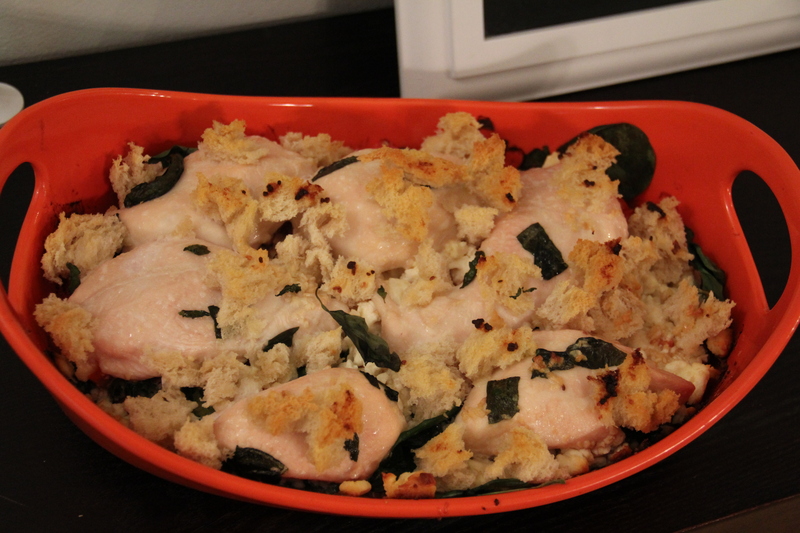 Let me know if you make this recipe and find it as fabulous as I do!